The T4/T5 (Large) series of large trim switches from OTTO are single pole switches with 4 throw operation and momentary action with tactile feel and a center off circuit. The T5 (Large) also includes the option of a center pushbutton. Designed for military or commercial applications the T4/T5 (Large) series has a choice of anodized aluminium alloy or thermoplastic casing with press-fit or threaded mounting options. The T4 (Large) is electrically rated to 5A (resistive) at 30VDC with an electrical life of 100,000 cycles and rated to MIL-PRF-8805 design 2 or 4. The T5 (Large) is electrically rated to 2A (resistive) at 28VDC with an electrical life of 100,000 cycles and rated to MIL-PRF-8805 design 2. 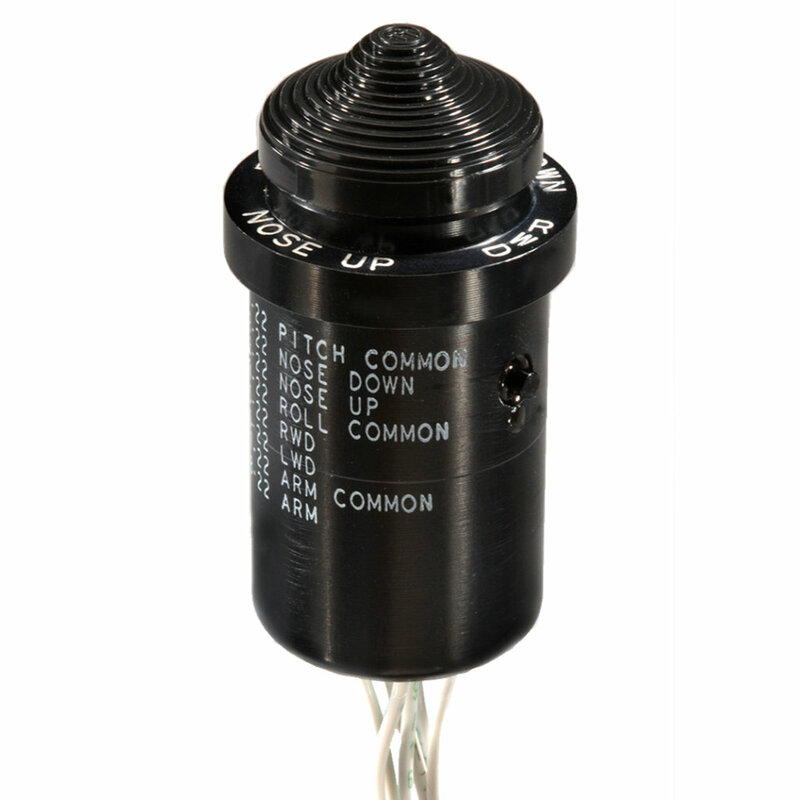 Available with a choice of button styles T4/T5 (Large) series are perfect for applications such as Aerospace, Remote Devices, Off-Highway Vehicles and Lifting Equipment.